Tackle it Tuesday (Making Housework Bloggable) is a meme hosted by 5 Minutes for Mom. This weekend, I tackled the Thanksgiving leftovers and the appliances. My husband's aunt must have sent home a dozen containers of food, mostly things no one wanted such as brussel sprouts, onions, and sweet potatoes and a few things I couldn't even recognize, plus the leftover cornbread dressing I made to take to my mom's, not to mention black olives, turkey, and cranberry sauce. So, I gave the refrigerator a good cleaning and got rid of all the leftovers before they had time to start growing mold. My daughter decided to make a fresh apple pie for Thanksgiving (and did a fine job! ), but she forgot to put a cookie sheet under it, and it dripped in the oven. Thankfully, it has a self-cleaner. After that, the outside of the appliances needed sprucing up, so they got a good dose of stainless steel cleaner. It felt good to get this done! What did you tackle this week? Our week looks easy, thought not necessarily healthy. My daughter-in-law made the most delicious taco soup for our Sunday night meal, so we'll be eating those leftovers for lunch today. Monday - Meatball subs and oven French fries. Tuesday - Pan-grilled chicken with Italian seasoning and Uncle Ben's long grain and wild rice and French-style green beans. Wednesday - Cheese tortellini with vodka sauce and garlic bread. Thursday - husband's night out - kids' choice dinner out with mom. Friday - usually pizza night, but we may stay in and eat Bertolli chicken florentine instead. Menu Plan Monday is hosted by Laura at I'm an Organizing Junkie. Won't you join us for Sunday Scrappin'? You would think with a week off I would have plenty of time to scrapbook, but, it was not to be. I spent a couple of days with my mom and I spent a couple of days in bed sick. I did, however, create one page. All I have to do is place the photo on the mat and journal in the tag. The picture didn't turn out very well. I would love to get another page or two done this week for my daughter's senior year scrapbook, but I go back to work tomorrow, so we'll see. I hope everyone else has a productive, scrappy week! And here's your laugh for the day! A parody of "You Had a Bad Day." Now go visit more Thirteeners! Happy Thanksgiving! Have I got a website for you today, thanks to My Kitchen Table, a blog I found through BlogFrog. The website is called Organized Christmas, and if you know me even a little bit, you know I love to be organized! 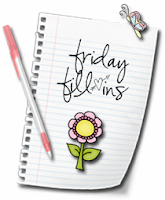 This website has some creative ideas and free printables everyone can use. There are TONS of holiday tips! Then, you can find a recipe for snowman soup or reindeer chow which make great teacher gifts (inexpensive, too), and you can print the tags and recipes for free. There are free printable gift tags and suggestions on making gift baskets. And if this weren't enough, you can download and print free holiday planners. I usually make my own, but with being sick right now, it doesn't look like that's going to happen, so I better start printing! I hope you will check out Organized Christmas. I'm sure you'll find something useful. I haven't been this sick in a long, long time. Low fever, aches, stuffy nose, chest congestion, cough, sore throat, headache, and no energy. If I didn't know better, I would think I had the flu, but I've had my flu shot this year just like I have every year for as long as I can remember. I had big plans for this holiday week, and I got to do a few things I wanted to do, but it looks like the rest is cancelled, including plans I had with friends for tonight. I'm supposed to cook a turkey breast and homemade cornbread dressing for my mom, kids, and nephew. Not sure that's gonna happen now. I can't be around my mom while I'm sick. She had another chemo treatment today and can't risk getting what I have. Black Friday shopping is out of the question at this point, not to mention starting my Christmas decorating and doing some crafting. Anyway, if you see the get well fairy, will you please send her my way? I'm going to go rest again. CMash is the winner! Congratulations! Do you ever have pain in your arm, wrist, or neck after a long, hard day at the computer (playing Facebook games-LOL)? Even though I've had carpal tunnel surgery on both hands, I still get occasional pain in my wrists from overuse, not to mention my neck and shoulder. According to chiropractor and SmartFish Technologies CEO Dr. Jack Atzmon, many of people’s complaints of hand, wrist, shoulder and neck pain are directly related to our daily use of computers. Thus, the ErgoMotion Laser Mouse was created. 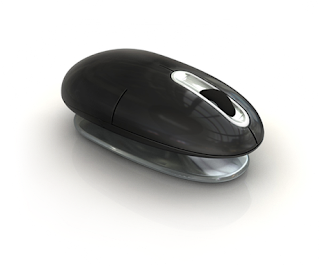 Using a combination of ergonomics and motion, the ErgoMotion Laser Mouse provides a comfortable experience for you, the user. The mouse is set on a base that pivots with your wrist. You can lean your wrist at an angle that is more comfortable that causes less stress on your joints. The mouse has 4-way scrolling, and it's wireless (2.4GHz), which allows you to place your hand wherever it is comfortable for you. The USB connection is a very small piece (nano transceiver), so it won’t be in the way if you’re using a laptop. And the USB fits into the base of the mouse so you can easily store it when you're on the go. Don't forget to turn it off when you're not using it to save battery power. In case you don’t want to take my word for it, you can check out Benchmark Review’s assessment. Or you can check out MegaTech News. You can also find SmartFish on Facebook and Twitter. First Entry – leave a comment on this post. It’s as simple as that! Extra entries – please leave a separate comment for each one. • Follow my blog or subscribe to my blog through Google Reader. • Tweet this giveway. Please leave your link in the comment. • Leave a comment on a non-giveaway post. Let me know which post you liked. • Join one of my BlogFrog discussion. Deadline to enter: 11:59 PM CST November 28, 2010. Please make sure I have a way to contact you via email. This post was written as part of a campaign for Family Review Network and SmartFish Technologies who provided the products for review and giveaway in exchange for my honest opinion. 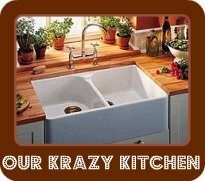 Come see me at Our Krazy Kitchen for a great soup recipe! 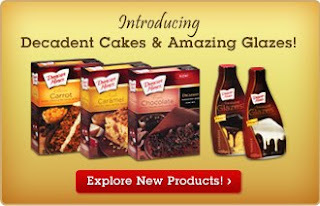 Duncan Hines has introduced two new products! Decadent Cake Mixes (available in Triple Chocolate, Apple Caramel, and Classic Carrott and two new Amazing Glazes in vanilla and chocolate. Decadent is the best way to describe the cake I made with real apples and caramel sauce drizzled throughout it. It was so EASY! And boy, did my house smell good! I used the Vanilla Glaze instead of icing. It should be a sin to eat something so heavenly! I made it here at home, and my family ate half of it in one night. I took the other half to work the next day and it was gone in a flash. I got so many compliments on the cake! It was moist, just the right spices, real apples, sweet caramel, and the smooth glaze was also a hit. Definitely Decadent! I plan to use the triple chocolate for a Thanksgiving dessert. I could make the cake as is, or use one of the recipes that came with my cakes. The chocolate biscotti bars sound delightful, and the red velvet cake using whipped topping and cherry pie filling along with the triple chocolate cake - the thought just makes my mouth water. You can click here for a $1.00 coupon. On behalf of Family Review Network and Forgetfulone, Thank you, Duncan Hines, for providing these sinfully delicious products in exchange for my honest opinion. 5 Minutes for Mom is at it again! They have started their annual Christmas giveaway contests. They have some awesome gifts up for grabs. But don't forget to read their Giveaway Guidelines. Good luck! If you're in a position to "give back," you might want to visit their "Under the Tree" post which is all about providing for families in need. Come on in for "coffee!" I don't drink coffee - just never developed a taste for it - but I need some caffeine! An ice cold coca-cola will do. Last weekend, my husband and I drove to New Braunfels for the Wurstfest, so I was gone most of the weekend, and it has sure made this week feel long for me. The tasks that usually get done on the weekend (cleaning, laundry, etc.) had to be done during the week in addition to a full work week, grading, cooking, and all the usual things with famly and a full-time job. Not only was the week long, we had a horrible tragedy at work/school. One of our sixth grade students and two of her little brothers died in a fire early Thursday morning. We've had crisis response teams on campus to help both staff and students process this loss. The residents of five apartments are now homeless, and one family is dealing with the loss of 3 of their 4 children, one of whom passed today at the hospital. It's just unfathomable. I can't imagine. I didn't have the student in class, but one of my good friends did (and of course several other co-workers). I really worry about the second-graders who knew the little brother, too. I guess writing this is just one way I can work through my own feelings about this terrible event. On a happier note, Harry Potter and the Deathly Hallows, Part 1 comes out this Thursday, and I am going to the midnight showing. I have no idea how I will manage at work Friday, but I'm so excited about it! I hope everyone has a safe, fun weekend. Just a small taste of the crowds and noise from Wurstfest this weeked. The hall was at least the size of a football field. It was fairly dark (thus poor video quality), and it was loud. The 7 Dutchman are playing a verse of the Chicken Dance in this short clip. I'm headed for some sausage eating, beer drinking, polka dancing fun this weekend! The irony? I don't like sausage, I only drink one type of beer (and that is on rare occasions), and I don't polka! Why am I going? My husband. Sometimes you have to do things to please your partner whether you really want to or not, and since it will be an overnight trip out of town, it will be a nice, yet brief, getaway. Have you ever heard of Wurstfest? The Wurstfest in Texas is in New Braunfels, one of the oldest towns in Texas that was built primarily by Germans. Wurst is the German word for sausage. 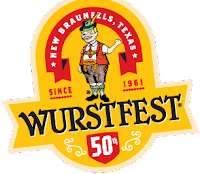 Wurstfest started in 1961. (Wow! That was even before I was born! Only by a few years, though.) There will be music, entertainment, lots of food (not just sausage) arts and crafts, and more. I'm sure I will enjoy it, but I keep telling my husband I'd rather go to the BEST fest. He doesn't think I'm funny! In case you've never met her before, this is Lacy. She is our only remaining pet now. When I pet her, I can feel my blood pressure going down immediately, and she is sooooo soft! 1. Sometimes, I just forget things. 2. I'm clueless about the whole thing. 3. Small stuff. Don't sweat it. 4. Talk radio is very enlightening. 5. I keep meaning to file all these papers laying around everywhere! 6. I haven't decided what I want to be when I grow up ...yet. 7. And as for the weekend, tonight I'm looking forward to getting a full night's sleep, tomorrow my plans include driving to New Braunfels for Wurstfest, and Sunday, I want to enjoy my extra hour and eat some chili at my mom's house! You Speak General American English! This was a fun quiz! Jenn from My Kids are my World tagged me for a meme, and it's going to be fun to play along. I just answer the four questions she gave me. Then I get to tag four people and ask them four questions of my own. Fun! Thanks for thinking of me, Jenn! 1. If you could be anyone besides yourself for an entire day, who would it be and why? This one is hard! I have to choose someone skinny, because I've always wondered what that was like. But do I want to be famous, even for one day? Hmmm. Oh, I know! Faith Hill. Thin, beautiful, talented, and the best part? Married to Tim McGraw! Yup! She's the one I'd want to trade with for a day. 2. What is your favorite day of the week, and why? Easy one. Saturday! I can sleep late and I don't have to go to work, and I can stay up late being my normal night-owl self. 3. If you could change your name, what would it be, and why? Another hard one! Let me think... (A while later) Kimberly. That's what my mom wanted to name me, but my dad always thought of Kimberly Clark (toilet paper company), so he wouldn't let her name me that. Then again, it might be more fun to have a name like Trixie! I have so many of these! I love the song "Mayberry" by Rascall Flats. It reminds me of my dad. And I love the silly lyrics of "Blinded by the Light" by Manfred Mann. Oh, and "Walking in Memphis" by Marc Chon and "God Bless Texas" by Lonestar. Let's not forget "The Boys are Back in Town" by Thin Lizzy. "Linger" by the Cranberries. But the song that NEVER fails to make me feel good is "Love Train" by the O'Jays. I am tagging Queen Sized Funny Bone, Myya Says, Calico Contemplations, and LuLu's Petals. I hope you'll all play along! 1. What is your favorite holiday tradition? 2. You're in a time machine? Where are you going? 3. 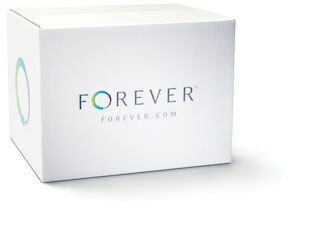 What is your favorite store? 4. What is your favorite movie ever?